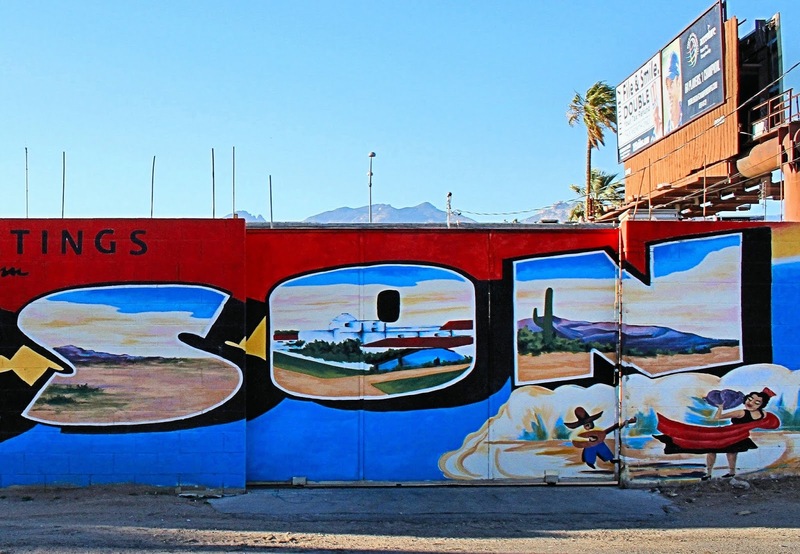 Tucson Daily Photo ~: Greetings from Tucson! 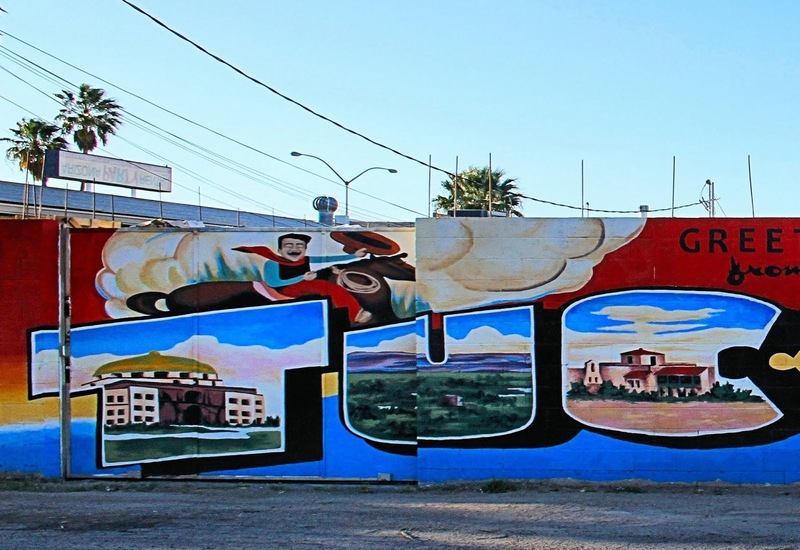 This wonderful "Tucson Postcard" mural is in Swan Way Park (4800 E 1st Street). This project had local artists Allison Miller leading a community paint day in collaboration with Big Brothers Big Sisters. The mural was completed in August, 2012.